Most people get their first baby teeth when they are about 6 months old and everyone should go to their first dental exam before their first birthday and after that, every 6 months for the rest of their life. 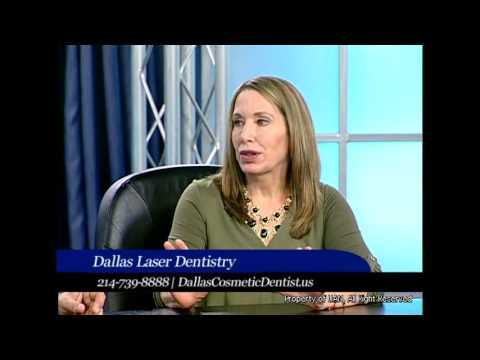 Even if you aren’t feeling any pain, getting a dental examination at Dallas Laser Dentistry twice a year allows Dr. Mary Swift and Dr. Terrel Myers the opportunity to detect any oral health problems early. A regular dental exam can also help your dentist catch some nutritional problems and certain infections. "Dr. Swift is very personable upon introduction and throughout the treatment. She will take the time to discuss any concerns a patient might have...."
"everyone was so nice no long waiting woulg recommend you to anyone that want a great dentist thank you so much and may god continue to bless you"
"They always take such great care of me! Great staff, great doctor." "Best all around Dentist in Texas!" During a routine dental exam, Dr. Swift or Dr. Myers and their experienced staff will perform digital X-rays, DIAGNOdent laser cavity diagnosis, and intraoral camera images to help identify and diagnose and current or developing issues. Each patient will also have a comprehensive oral health evaluation including periodontal (gum) diagnosis and oral cancer exam. Patients will then have their teeth professionally cleaned and polished for a brighter, whiter smile. Any preventative treatments, like fluoride rinses will be performed at the appropriate time during the patient’s dental exam. In addition to going to Dallas Laser Dentistry every 6 months, patients can help maintain their oral health by brushing their teeth for two minutes, twice every day. Patients should also floss at least once daily. A balanced diet and healthy lifestyle can also improve your oral and overall health. During their exam, patients should tell their dentist about their medical history, including any medications, and any concerns they may have about their teeth, gums, and mouth. By checking your oral health, Dr. Swift and Dr. Myers may be able to see signs of other concerns and diseases in your body. For example, the dentist may find signs that indicate diabetes, excessive stress, problems during pregnancy, osteoporosis, and heart disease. The American Heart Association found that people who received regular dental exams and cleanings had a 24% less risk for a heart attack and 13% less for a stroke than people who didn’t get regular dental care. An average person who brushes twice a day, flosses, avoids sweet foods, and is in good health should visit their dentist every 6 months. This allows the dentist to catch and problems early and scrap off tartar and plaque easier. After 1 - 2 years without professional cleaning, the patient is at greater risk for bone loss. Patients who are older, eat excessive sweets, and are older may consider seeing their dentist more often than twice a year.